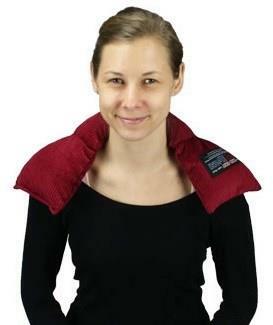 Heat therapy has been proven to provide many therapeutic benefits such as: increased blood flow, relaxation of tendons and muscles, relief from stiffness and inflammation as well as a reduction in the sensation of pain. Flex-Heat Lupin packs are a great product to provide heat relief as lupin has exceptional heating characteristics, which are far superior to wheat. Lupin is a natural seed in the form of an encapsulated pod, which means that they don’t produce dust or odour and are moisture resistant. Lupin bags are able to mould to the contour of the area being treated and are available in a variety of different sizes for use on different areas of the body. The fabric covers allow for direct application to the skin as well as providing a non irritating feel. Flex-Heat packs are 100% Australian Made from locally sourced materials and are approved by the TGA as a class 1 Medical Device. Flex-Heat Lupin packs can be used as hot or cold packs and are available to purchase from any of Core Physio’s Adelaide locations.